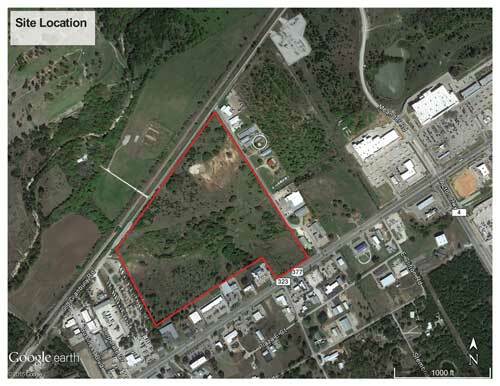 The Crossing is a 50-acre mixed-use project on Highway 377 in the growing north corridor of Granbury, Texas at Cleveland Rd and Highway 377. The Crossing at Lake Granbury is planned to include retail, restaurants, medical office, professional office, senior housing, apartments and a hotel. 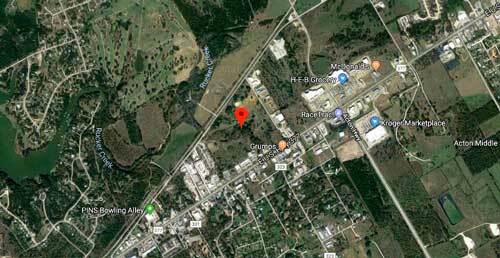 The Crossing is slated to have the next lighted intersection south of the Luton Ranch Development at the corner of Acton Hwy and 377. This intersection is home to the new HEB Plus, Kroger’s Marketplace, Ross, Michaels, Famous Footwear & Rue 21. All the entitlements, platting, site civil engineering and LOMR for the project are achieved and the infrastructure and drainage work are planned to commence, soon to be followed by the Hotel and a 42,000 SF medical / retail development. All information regarding this property is from sources deemed reliable; however, New Era Companies, LLC has not made an independent investigation of these sources. No warranty or representation is made by New Era Companies, LLC as to the accuracy of the information and same is presented subject to errors, omissions and uncertainties, including without limitation, change of price, unknown property conditions, governmental regulations, rental or other conditions, prior sale, lease or withdrawal from the market without notice. Certain information set forth herein may contain forward-looking statements and, as such, you should not rely on such statements. This information contained herein remains subject to further updating, revision and amendment without notice. Nothing herein shall constitute an offer and, as such, New Era Companies, LLC shall not be bound or obligated by any terms and conditions until such time as a final agreement is executed and delivered by all parties thereto, and then only to the extent set forth therein.